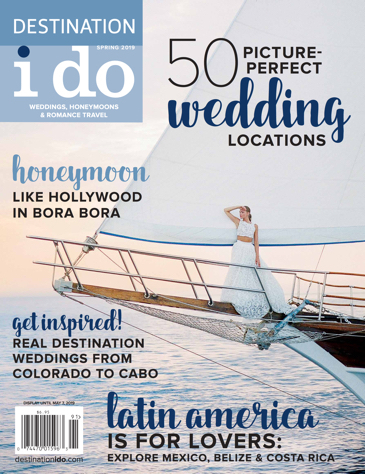 Having a destination wedding is all about making your wildest dreams come true. For Olya and Ryan, they took the leap towards a dream wedding in Maui they thought was out of reach, until it all started to come together. “We took a family trip to Maui for the first time a year prior (to the wedding) and absolutely fell in love with the island,” Olya says. When the couple announced their plans for a destination wedding to the lively island, their close family and friends couldn’t have been more elated. 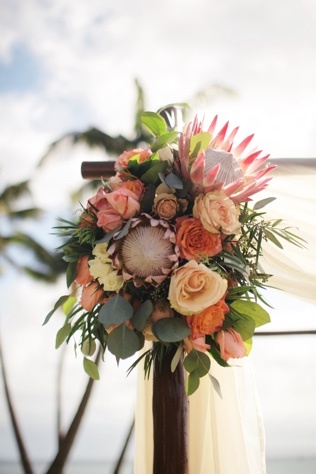 As far as the big decisions went, the couple took it step-by-step, starting with hiring a wedding planner from Bliss Wedding Design & Spectacular Events. With the help they needed, they could sit down and pick a venue that made all the traveling worth it. “We knew we wanted to be by the water and Sugar Beach was recommended to us by our wedding planners so we took their advice and were very glad we did,” the couple says. They handed the torch over to their lovely wedding planners for most everything. But, they wanted to share in some of the joy of planning, so the two turned to weddingwire.com. 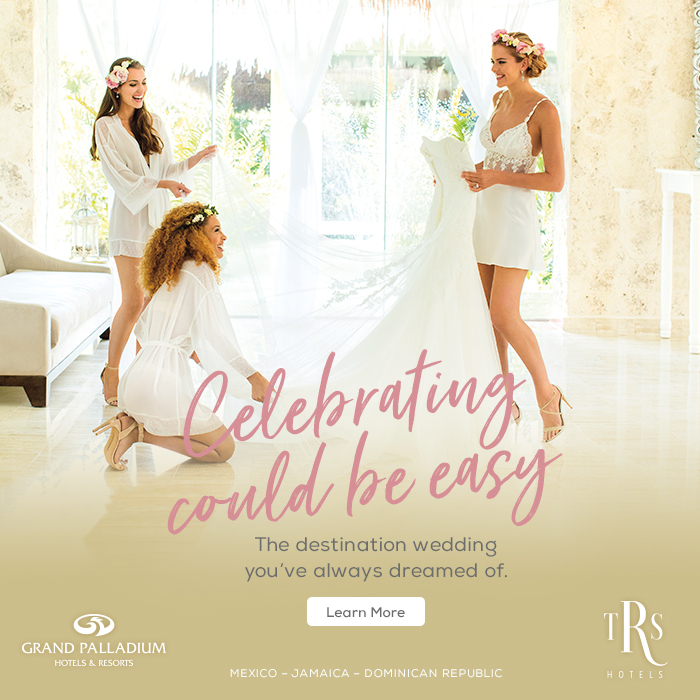 There they created a website where guests could RSVP and access all the information they needed about the wedding, hotel suggestions, etc. The day of the ceremony came fast, but the lovebirds were all prepped to share a wild and fun day with their 50 guests. Everyone was gifted with hand fans and sunglasses that came with custom stickers with the couple's names and wedding date, perfect for what would come next: a hula show and the celebration of a lifetime on the beach! 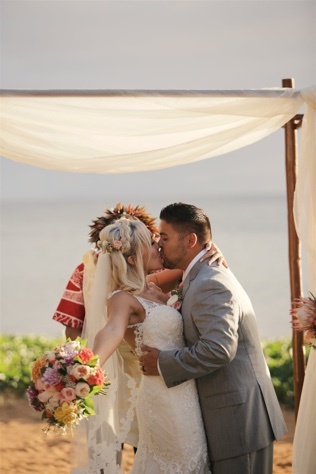 At the end of the day, Ryan and Olya say they couldn’t have made a better decision to have a destination wedding in Maui, even though they couldn’t have everyone they loved with them. But, the dream was accomplished, thanks to the wedding planners. “During the wedding they were making sure everything was moving smoothly and on time, all we had to do was go with the flow, have fun and not worry about anything else,” the two say. 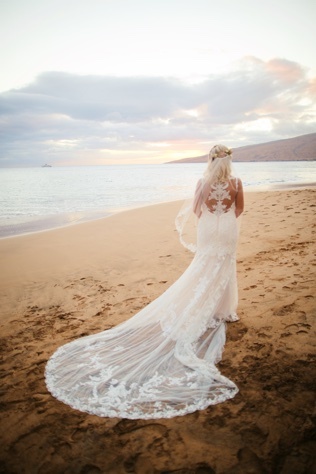 It’s not selfish to go for what you want on your wedding day, so what we at DID say is if it’s the breathtaking beaches of Maui that are calling your name, make it happen!